Dr. Gardner became interested in the dental profession because of his own life experiences. All through his childhood and teenage years he suffered from a severe malocclusion (bad bite). Because of a very asymmetrical face and contact only with three upper and three lower teeth, orthodontic treatment and two major surgeries were required to correct his dental and facial problems. As a result, there are very few dental procedures that he cannot relate to in some way as a patient. Being a native of Maury County, Tennessee. Dr. Gardner graduated from Santa Fe School, Columbia State Community College, The University of Memphis and the University of Tennessee, College of Dentistry. In August of 1983 he became the first full-time practicing dentist in Spring Hill. Dr. Gardner is a member of the Sixth District Dental Society, the Tennessee Dental Association, the American Dental Association and the Academy of General Dentistry. 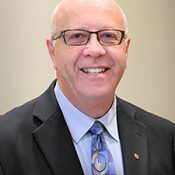 He is currently serving as General Chairman of the 2019 Tennessee Dental Association Annual Meeting. 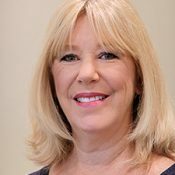 Dr. Gardner regularly volunteers at the Interfaith Dental Clinic in Nashville and Murfreesboro. He has been the recipient of the Nashville Lifestyles Magazine, Top Dentists of Middle Tennessee every year since 2013. This award is chosen by his peers which speaks highly of his skill and abilities (awards). On a personal note, Dr. Gardner is very active in his church, St. Luke United Methodist in Columbia, Tennessee. He is also a member of Gideon’s International. In his spare time he enjoys playing guitar and singing with a Christian group called Our House Band, which he helped organize in 2015 with several other members of the church. He and his wife, Ginger, have three adult children, Leslie (Patrick) Finn, Stephanie (James) Harlan, Ray Gardner, and a grandson, Levi Harlan. My name is Ginger. I am the one you will most likely talk to when you call our office. I am the business administrator for Dr. Gardner. My background is mostly in medical transcription. I have worked in the dental field for approximately 26 years. My favorite part of dentistry is the people! I have become friends with our patients and love to hear about what is going on in their lives. I graduated from Santa Fe High School and Columbia State Community College with an A.S. degree in secretarial science. I also have my PHT (putting hubby through) dental school degree! Dr. Gardner and I have been married since June, 1979. We have two daughters, one son and a precious grandson! In my spare time I enjoy crocheting, piecing quilts and reading, but most of all spending time with my family. 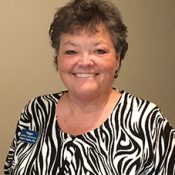 My name is Donna Tenpenny and I’ve assisted Dr. Gardner since November 2016. When I come to the lobby and call your name, I will always greet you with a smile. I am genuinely glad to see you. It is my pleasure to make your visit a pleasant experience. In my free time you might find me somewhere in the woods. I love hiking, fishing and camping. I am also active in my church and have a deep desire to serve the Lord. My name is April. 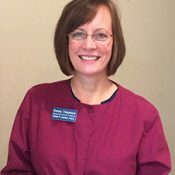 I am Dr. Gardner’s dental hygienist and have been working with Dr. Gardner since 2011. I will be helping you keep your teeth and gums healthy and clean. I enjoy meeting new patients and love to see our existing patients that I consider my friends. I graduated from Summertown High School and TSU with an A.S. degree in dental hygiene. In my free time I enjoy camping, hiking and going to the beach and especially spending time with my family and friends.